A study published on Feb. 6, 2019 in the Diabetologia journal reports that the Roux-en-Y (RYGB) bariatric surgery is helping those who have Type 2 Diabetes go into remission. It is reported 75 percent of those patients do achieve remission. The surgery is not a cure. Some individuals who appeared to go into remission had symptoms return. The study showed 27 percent who were in remission had a relapse in five-years. The study also showed that RYGB surgery reduced by 50 percent of microvascular complications. These include nerve damage, kidney disease, and vision problems. Dr. Lene Ring Madsen, the lead author of the study from Denmark’s Aarhus University Hospital, stated that obese patients who suffer from Type 2 Diabetes should be offered bariatric surgery immediately where there is a greater chance to achieve remission. There are several different types of bariatric surgery including a gastric sleeve and gastric bypass. Gastric bypass, also called Roux-en-Y, is a surgery that makes the stomach smaller and creates a bypass of some of the small intestines. According to the U.S. National Institute of Diabetes and Digestive and Kidney Diseases (NIDDK), after an individual has this type of surgery, they feel full on less food, and the body will not absorb as many calories. A sleeve gastrectomy, or gastric sleeve surgery, according to the NIDDK entails removing part of the stomach, so the individual feels satisfied faster. Madsen reports this procedure is becoming more popular but is newer, and researchers do not have much long term data from patients who had this type of procedure. Madsen said even though this particular study did not examine why gastric bypass surgery could lead to type 2 diabetes remission, other studies did suggest that weight loss, hormone changes, and calorie restriction could be part of the reason. Patients with the best weight loss have the best resolution of Type 2 Diabetes, but the mechanisms are much more complicated than just weight loss. Roslin also added food choices, changes in sugar production in the liver, and how the body uses insulin all contribute to Type 2 Diabetes improvement. The participants of the study included 1,100 people who had gastric bypass surgery in Northern Denmark hospitals between 2006 and 2015. Researchers studied patients with Type 2 Diabetes who had bariatric surgery to 1,100 with the disease who did not. Sixty-five percent of those who had surgery went into remission within six months. One year after surgery, 74 percent had remission. Five years after surgery, patients remained in remission 70 percent of the time. The study found people who took insulin before surgery were less likely to go into remission. Also, people over 60 years old were less likely than those under 40. The study also determined people who had poor control of their blood sugar was less likely to have remission. 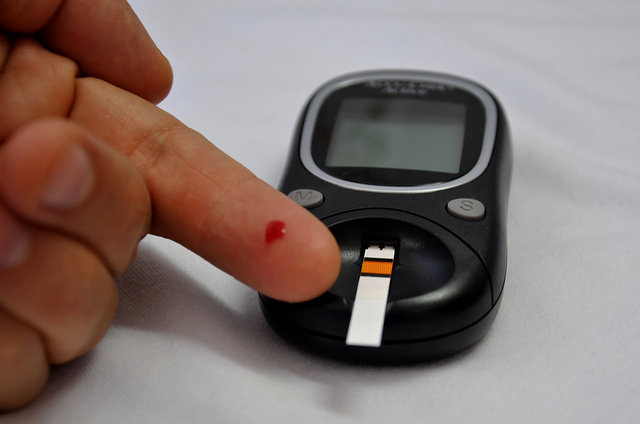 Furthermore, people who had Type 2 Diabetes for less than 2.6 years were less likely to obtain remission. Some of those who had gastrointestinal surgery also had their diabetes return. Six percent had a relapse in the second year after surgery. After the third, it increased to 12 percent, and by five years, relapse occurred in 27 percent. Bariatric surgery is a real treatment for Type 2 Diabetes, and it has been underutilized. People are scared of diabetes. They’re scared of the blindness and the amputations, and this study shows that bariatric surgery is a treatment that may reduce those complications by 50 percent. Healthline: Can Gastric Bypass Surgery Cause Remission in Type 2 Diabetes? 4 Responses to "Gastric Bypass Surgery May Cause Remission of Type 2 Diabetes"
This is decently worded and useful, thanks. I value how you touch on points minus hyperbole. It’s useful insight and I find you worth sharing.